Have you ever felt the experience of immersing yourself in your project? 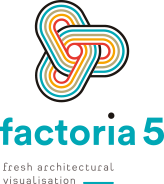 Factoría 5 uses VR technology to make it possible. We provide virtual reality applications and immersive, interactive vizualizations centring on architecture and interior design. If you don’t already have VR equipment to enjoy the VR experience, we provide it for rental. 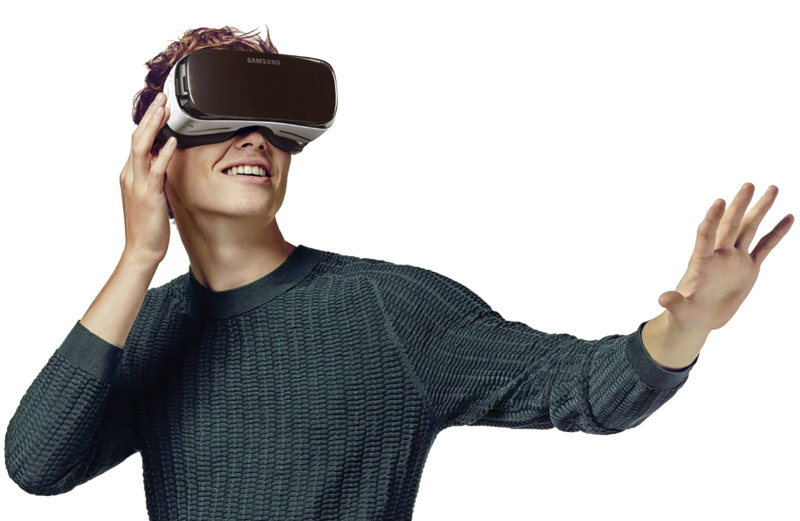 We design 360º experiences for mobile phones and VR headsets. This is the simplest way to immerse yourself in a virtual environment. 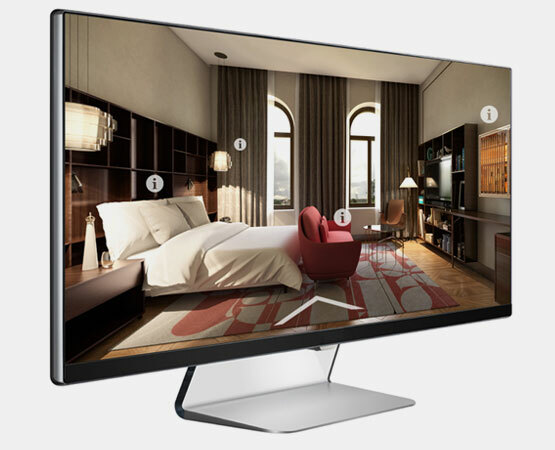 We create interactive, walk-through 3D scenes using Unreal Engine, the most powerful graphics engine available today. Ask us for free information about what our VR products can do for you. Tell us about your project and objectives and we will advise you according to your needs. The applications developed by Factoría 5 employ a variety of structures and technologies depending on the requirements of each project. We create a whole range of options, from simple virtual reality visualizations to complex simulations. Immersive 360º visualizations / tours. Your projects go where you go, always. 360º visualizations/tours. Simulate and walk through immersive virtual settings. 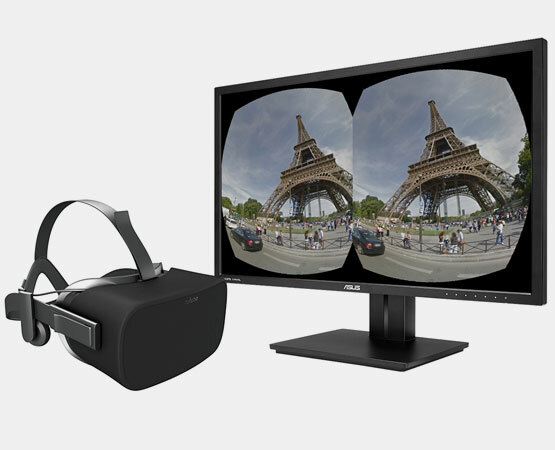 Simulate and walk through immersive virtual settings on your computer screen. VR technology allows users a spatial experience in which they can interact with architectural and interior design projects from anywhere in the world and long before they are actually built. Walk inside the spaces of your project and select from a variety of design element options. VR experiences are an innovative and fun way of surprising your clients and allowing them to play an active role in the design process. "Amazing. It makes perceiving the space much easier in presentations for all kinds of clients"
"I was blown away the day I was given a demonstration… It's so real that I found myself looking in the virtual space for the person talking to me in the real world. It's the perfect tool for sceptical clients"
Here we provide some answers to standard questions which we think you will find interesting. If you still have questions after reading these, don’t hesitate to contact us and we will respond to your query as soon as possible. Are VR glasses completely necessary for a virtual reality experience? Not at all. 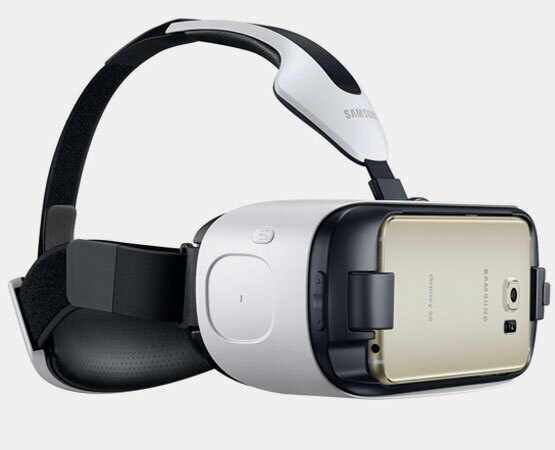 You can enjoy VR technology on other devices, such as smartphones, tablets or PCs. However, the most immersive and realistic experience is provided by using VR glasses or headsets. Where can I purchase a set of VR glasses? Thanks to their increasing popularity virtual reality glasses have become more widely available. You can purchase them in department stores and online. If you prefer not to buy them, we can provide them for rental on a per day basis. Are virtual reality glasses difficult to use? No, not at all. You’ll quickly become accustomed to using them and handling the interface with ease just a few minutes after putting them on for the first time. Which service will best suit my project? That depends on your project and what you are trying to convey with it. 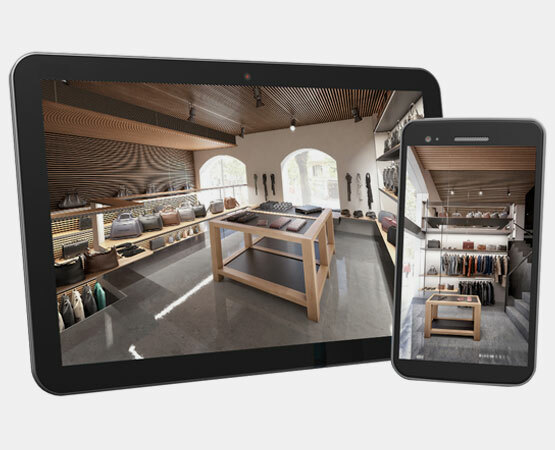 If, for example, you want to show the design of a shop with several floors the best way to do this would be to use a Virtual Walk-Through of the space to show how it is organized and how it feels to move inside it. If, on the other hand, you want to show your interior design of a hotel room, the best choice would be to use an Immersive Space. VR Technology: Can it provide a real impression of scale? Yes. To obtain this impression we use points of view that are located at a height of 1.60 metres above floor level, which is the average height of the human eye. This provides a fully realistic virtual experience. What advantages does virtual reality have over the images and photographs used customarily in architecture? The advantage lies in the experience you provide for your client. In a still photograph or image, aspects such as size, distance and depth are perceived much more superficially and subjectively. With VR technology, in contrast, spatial perception is completely different, since it resembles actual physical reality, thus allowing the spatial elements of the project to be perceived accurately. We like being the talented team that can provide your company with the perfect complement and the highest standards of professionalism and creativity which set us apart from others.